Biotin, an important B vitamin, promotes healthy hair, skin and nails as well as energy support. 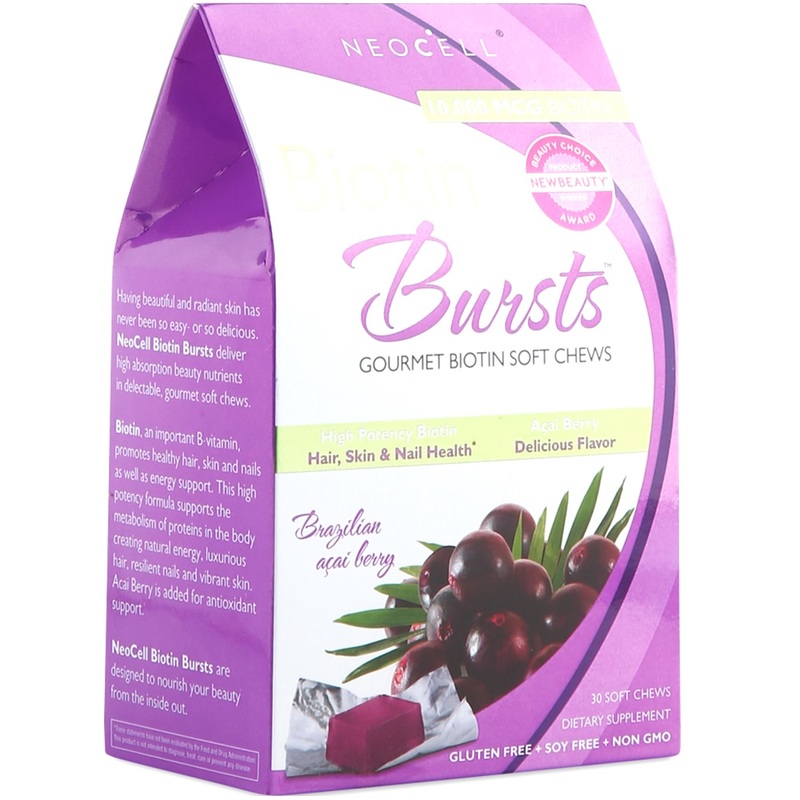 NeoCell biotin bursts deliver high absorption beauty nutrients in delectable, gourmet soft chews. Acai berry is added for antioxidant support.